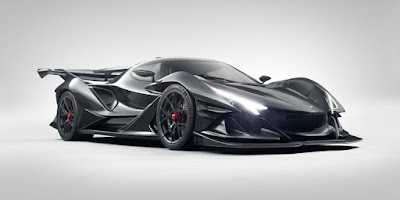 Apollo finally revealed their latest hypercar whose some time ago its teaser circulated in cyberspace. The hypercar is named Apollo Intensa Emozione (IE). 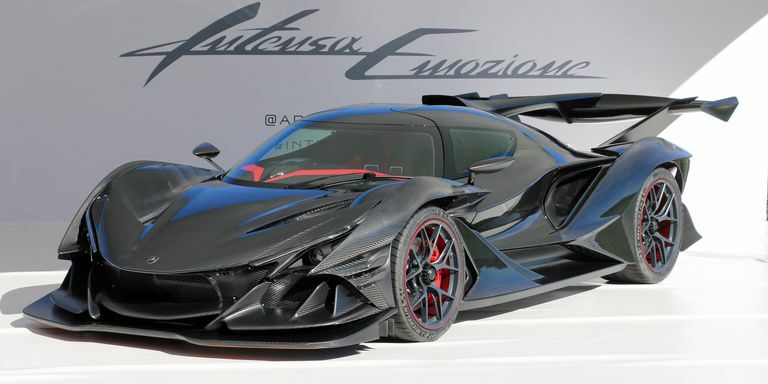 Like a hypercar in general, the design of Intense Emozione looks very concerned about aerodynamic factors. How not, the body and chassis are entirely made of carbon fiber materials so makes it has a very light weight that is only 1,250 kg. 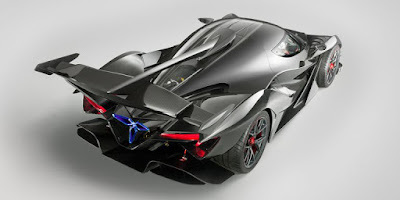 If the aerodynamic factor is ignored, by a very light weight of body and chassis, it will definitely make this car can "fly," considering that the engine carried by the IE is a V12 naturally-aspirated engine with capacity of 6,300 cc. Yes, it is a powerful engine that is rumored be linked to the Ferrari F150 project, but has been completely reassembled by Autotecnica Motori, one of Apollo's engineering partners which is then paired with Hewland's six-speed sequential transmission system and a paddle-shift gearbox from Revs. The maximum power that can be sprayed by the engine to drive the rear wheels is claimed to reach 780 hp with a torque of 759 Nm. No wonder, the car can accelerate from rest to 100 km/h in just 2.7 seconds and top speed of 335 km/hour. On these hypercar is also pinned a traction control feature that has 12 modes of activation, to offset the wild power of its V12 engine. 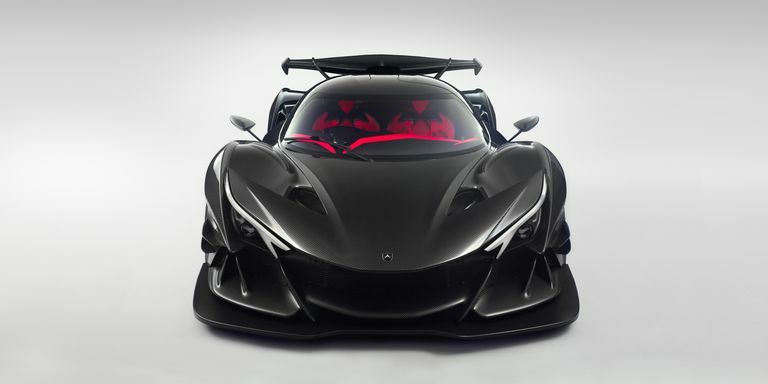 That's why the design of this car is made very radical with a large car lip and body designed full of curves, there's also dive-plane splitter to split the wind and increase the downforce to the ground. Besides that the most frightening is the wide spoiler on the stern of the car. On the rear bumper is loaded with fully curves designed diffuser. In addition to aerodynamic support design, this car also has a very modern look with DRL projector headlamp as its "eyebrow". And also the tail light is slippery and sharp, in tune with the stern which also designed in full of curves. According to Apollo, they will produce these IE hypercars on limited numbers, ie as many as ten units only, and sold at a price of €2.3 million, or equivalent to Rp.32, 16 billion.